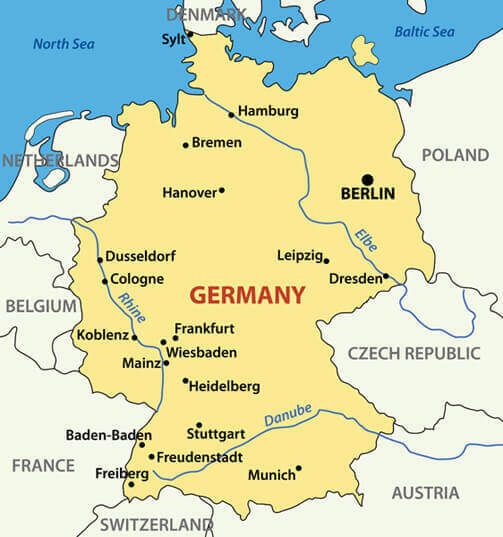 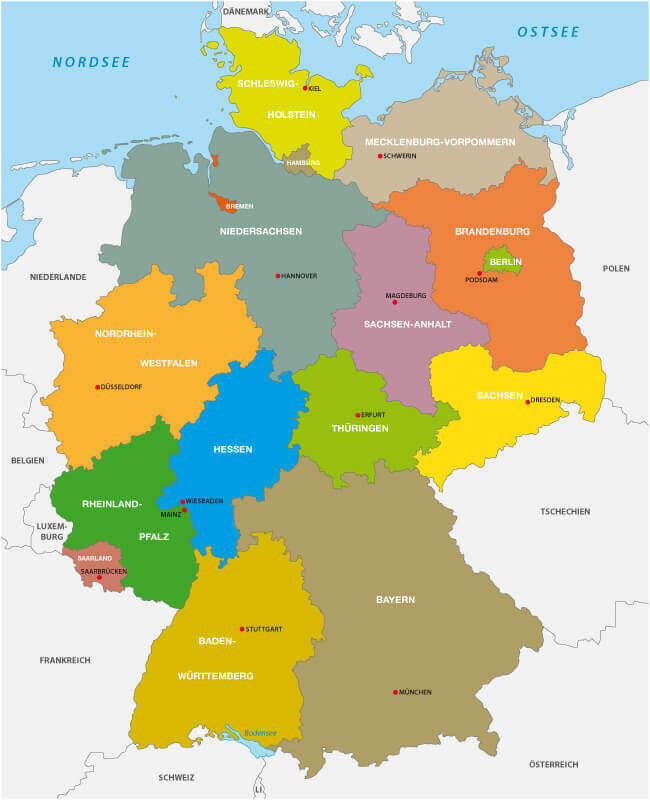 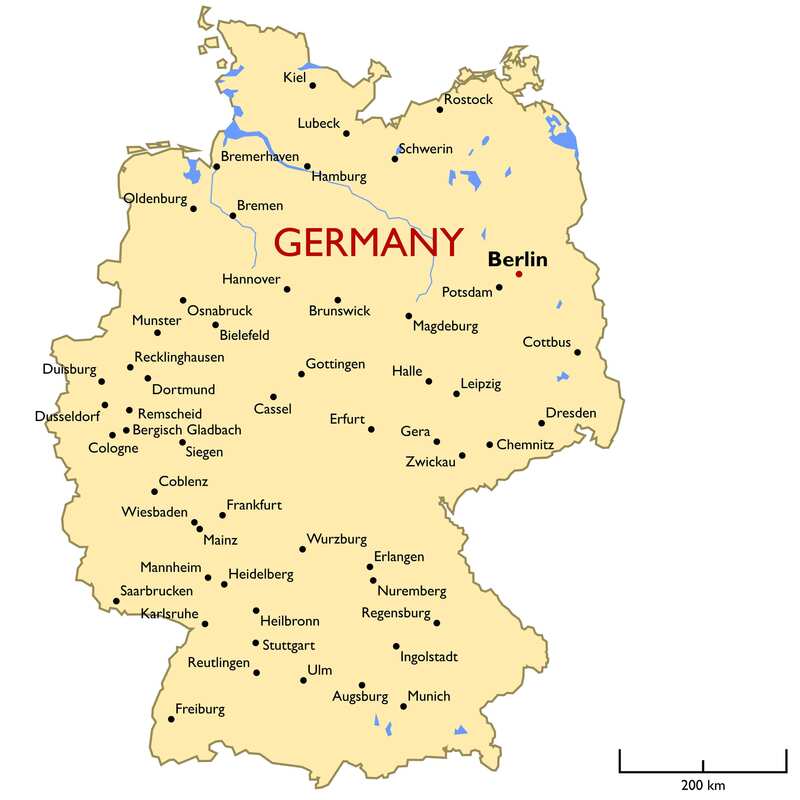 Navigate Germany map, satellite images of the Germany, states, largest cities, political map, capitals and physical maps. 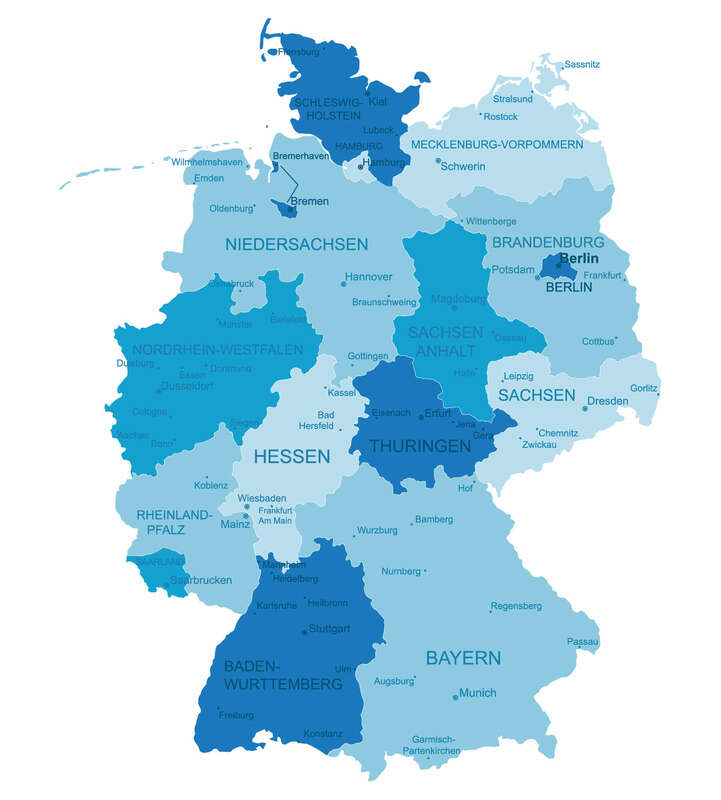 With interactive Germany Map, view regional highways maps, road situations, transportation, lodging guide, geographical map, physical maps and more information. 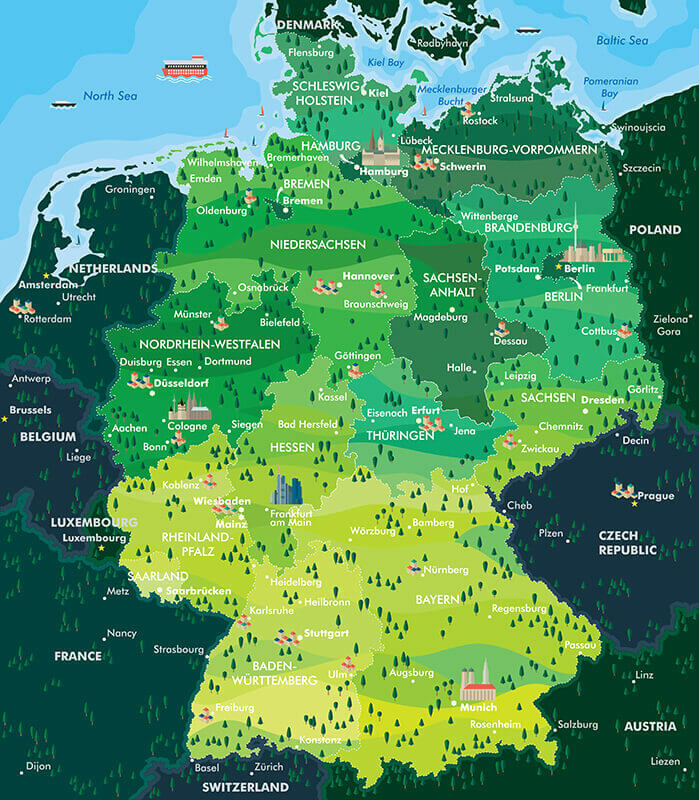 On Germany Map, you can view all states, regions, cities, towns, districts, avenues, streets and popular centers' satellite, sketch and terrain maps. 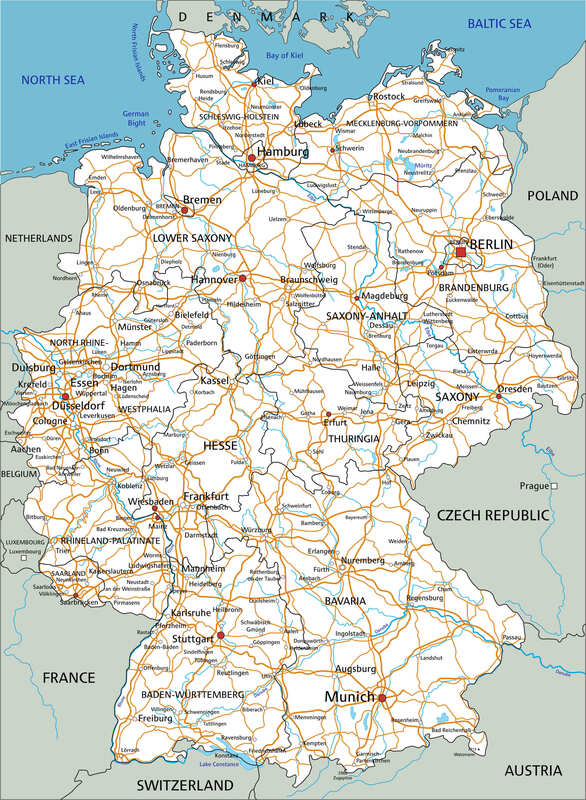 High detailed Germany road map with labeling, major cities and towns. 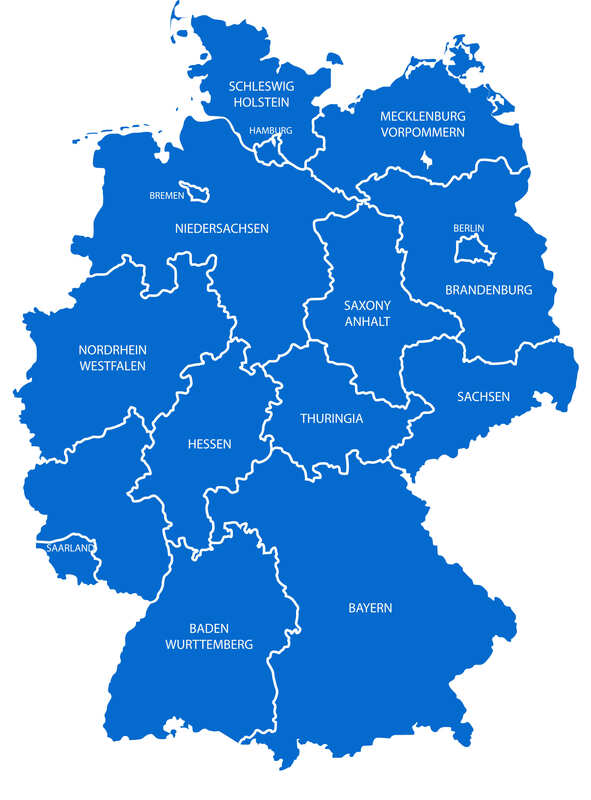 Germany highly detailed regions map. 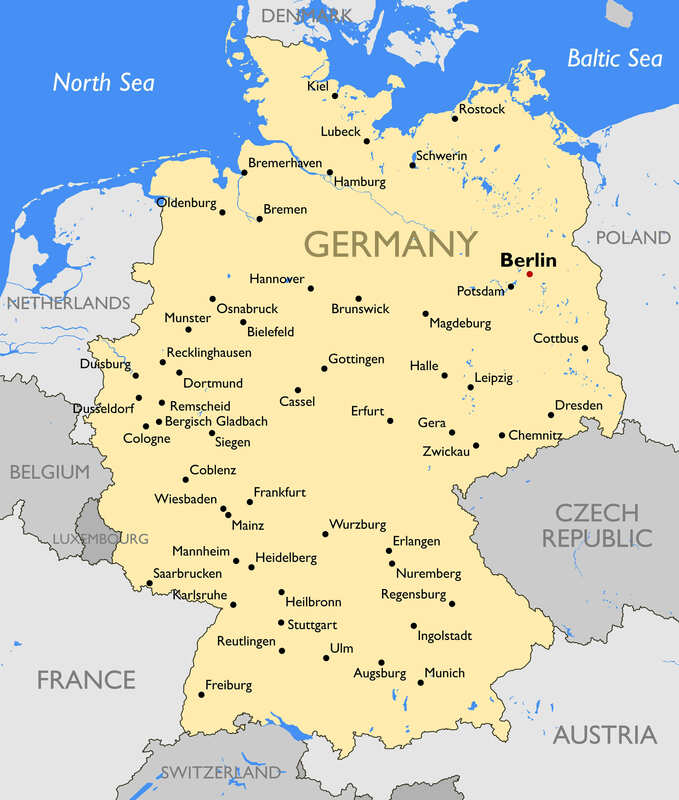 Germany Political Map with capital Berlin, national borders, most important cities, rivers and lakes in English labeling and scaling. 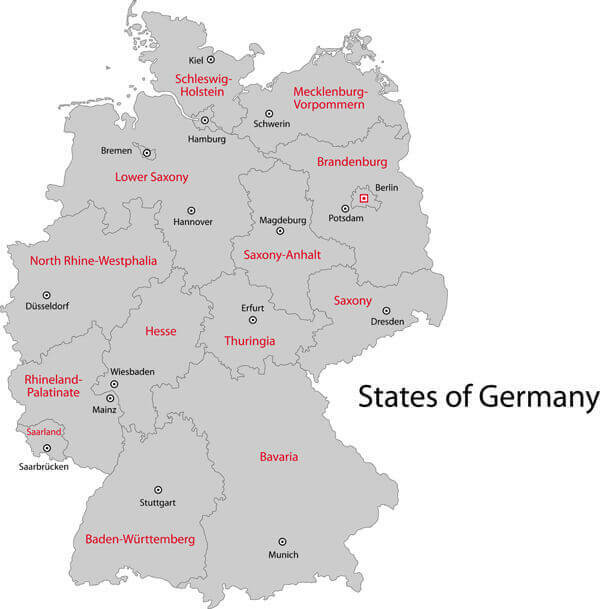 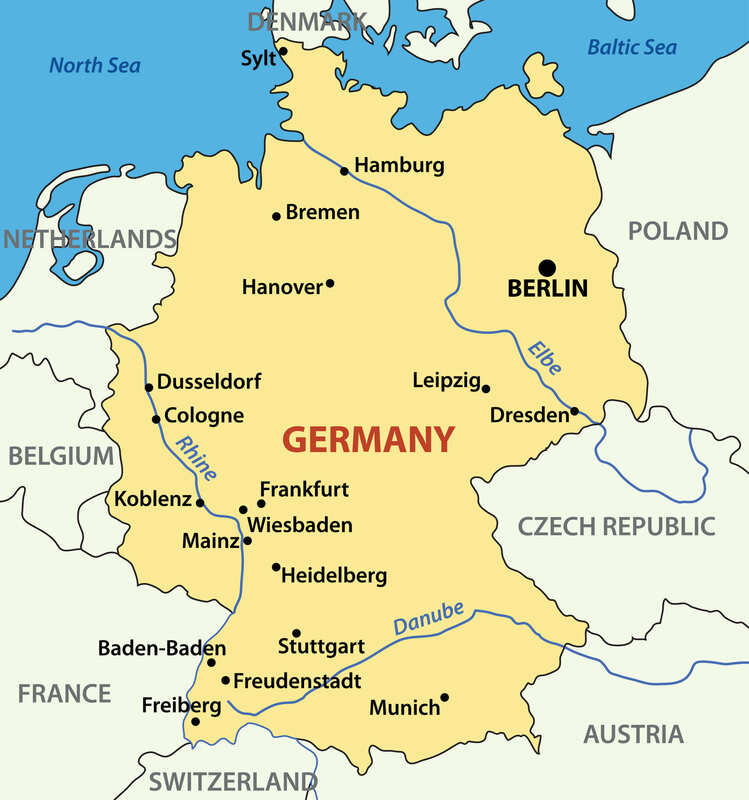 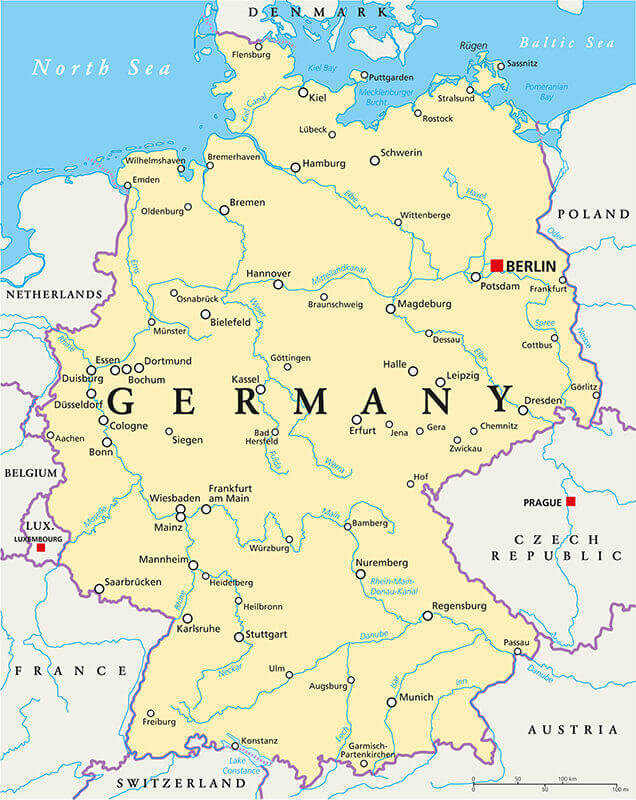 Gray Germany map with regions and main cities. 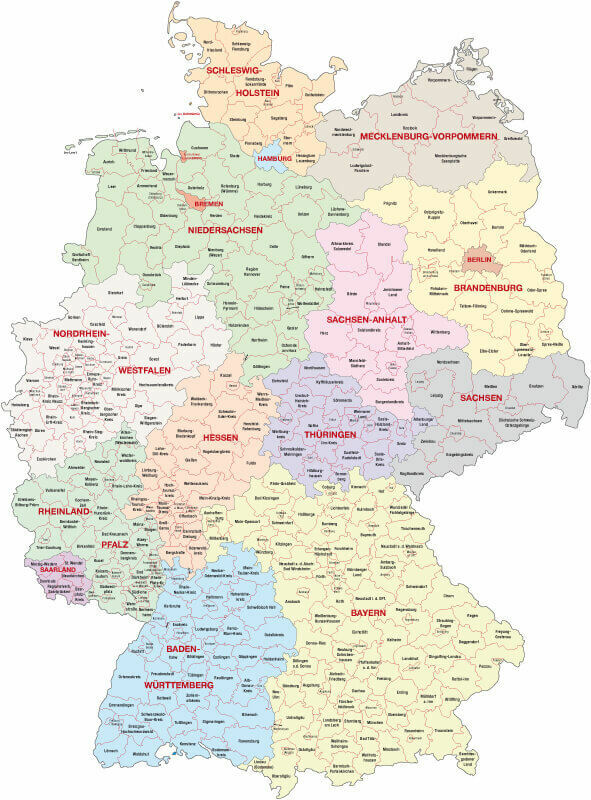 Please Not : You can find local businesses, public places, tourist attractions via map view, satellite image, hybrid view, driving directions in Germany Map. 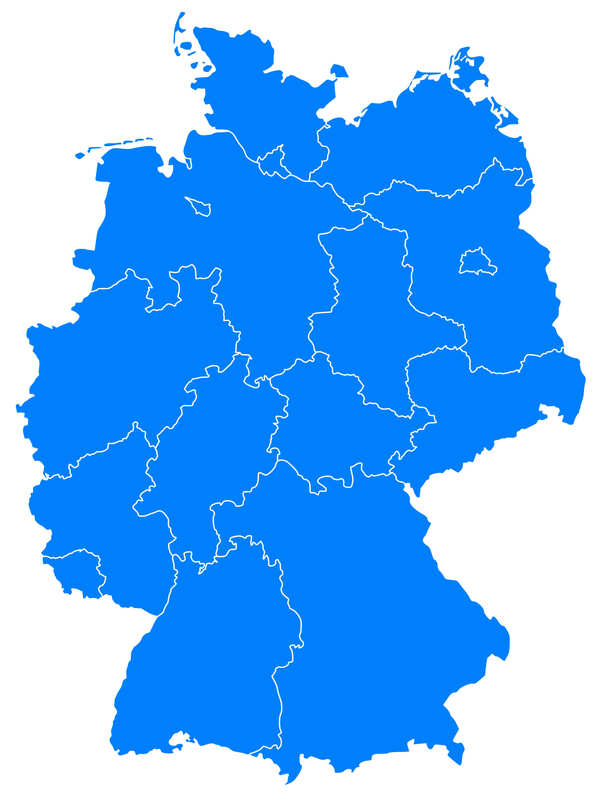 You'll also find a varity map of Germany such as political, administrative, transportation, demographics maps following Google map. 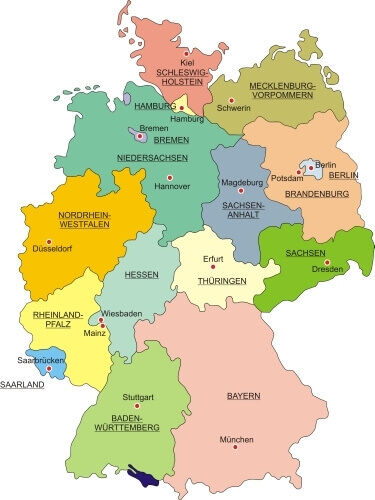 turkey-visit.com offers a collection of Germany map, google map, Europe map, political, physical, satellite view, country infos, cities map and more map of Germany.